Reserve Bank of India has asked all the banks to replace their customers' Magstripe based ATM Debit Card with an EMV Chip Card. The last date for doing this is December 31. After the last date, the cards in the Magstripe will be completely out of the country. State Bank of India has asked its customers to exchange their cards keeping RBI's directive in mind. Users will not have to pay any separate charge or replace the Magstripe Debit Card with the EMV Chip Debit Card, and there will be no change in its annual maintenance charges. SBI Customers can apply to replace their Magstripe based ATM Debit Card in both online and offline ways. 1.First go to the bank's NetBanking website (www.onlinesbi.com). 2.After this, log in to your account using your username and password. 3.After logging into the account, go to the e-Services section on the homepage. 4.Click on ATM Card Services and click on it. 5.Now the new page will be open, where customers have to select their account. 6.After selecting the account, write the name you want to print on the card and then select the type of ATM card from the drop-down next to it. 7.After this submit your request. After submitting, your debit card will be sent to your address in seven working days. However, this facility can be availed by the card holder between 8.00 a.m. and 8 p.m. only. What is EMV Chip Based Card? EMV is chip based technology. The same chip contains the user's data store. This chip is located on the left side of the debit card. Through which transactions can be done. It is considered as a global standard for credit and debit card payments. 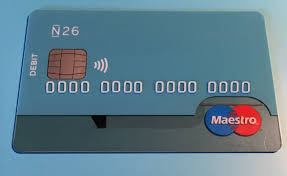 EMV's full name is Europae, MasterCard and Visa. These cards are also called chip and pin cards and chip and signature cards.